Pipeline Emergencies will produce significant safety results in terms of industry, public safety and improved emergency response tactics. It is based upon nationally recognized engineering practices, recommended operating procedures, and training programs. The Program includes a textbook, DVD and facilitator's guide with interactive pipeline training scenarios. This is the third edition of the program which was completely updated and released in January of 2017. Also, in 2017, the field education (IE classroom) component of the program underwent a third major content review and update to keep the content current given recent issues and events, yet still maintaining its balance with NFPA 472 and 1072. As the demand for energy continues to grow, so too will the need for pipelines. While pipelines may become a controversial issue, this should not keep responders from training on this high-risk, low frequency event. 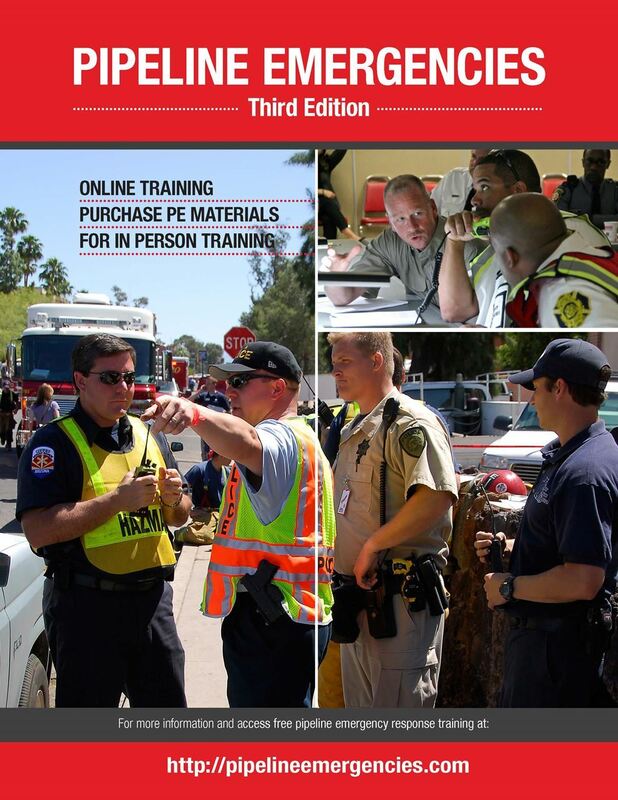 The scenarios included in the program are designed to cover a wide range of potential incidents, while allowing responders to work through them using the resources available to them, thus allowing them the tools they need for their individual toolbox should such an event occur in or near their jurisdiction. If you would like to purchase textbooks please visit our online store HERE. To discuss in-person training opportunities please contact admin@firemarshals.org or call 202-737-1226.